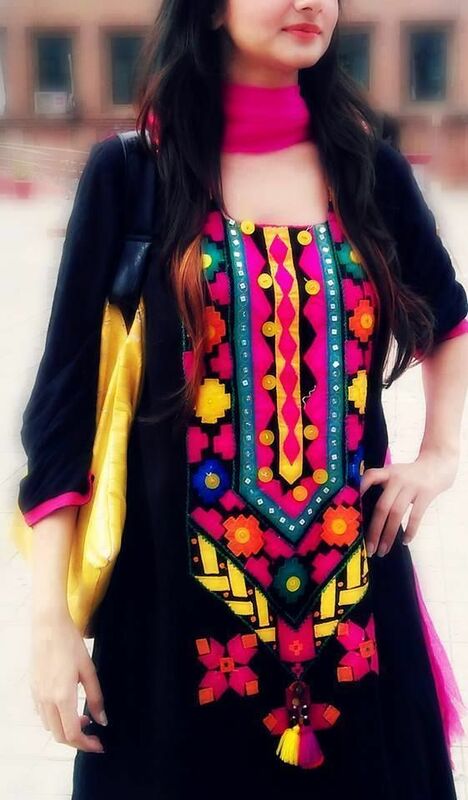 In Pakistan Sindhi Embroidery dresses are very famous, not only in Pakistan but allover the world. 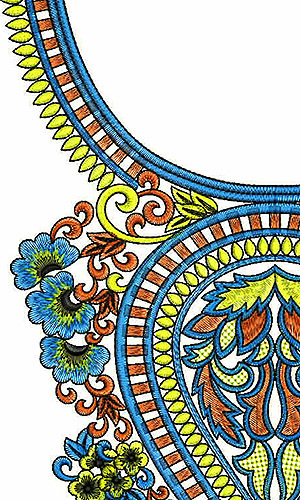 Several cultural designs are available in every province of Pakistan. In different provinces of Pakistan, there are different traditions about food, clothing and events etc. These specific design patterns are used to present specific culture of a region. People of different areas are very fascinated by these designs. 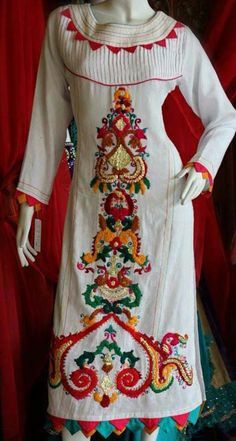 Sindhi embroidery dresses are very common and famous in Pakistan. These dresses provide very dramatic, elegant and classy look. Now Pakistani women are very well aware of importance of fashion in their lives. In this competitive age, they want to look pretty and different from others. 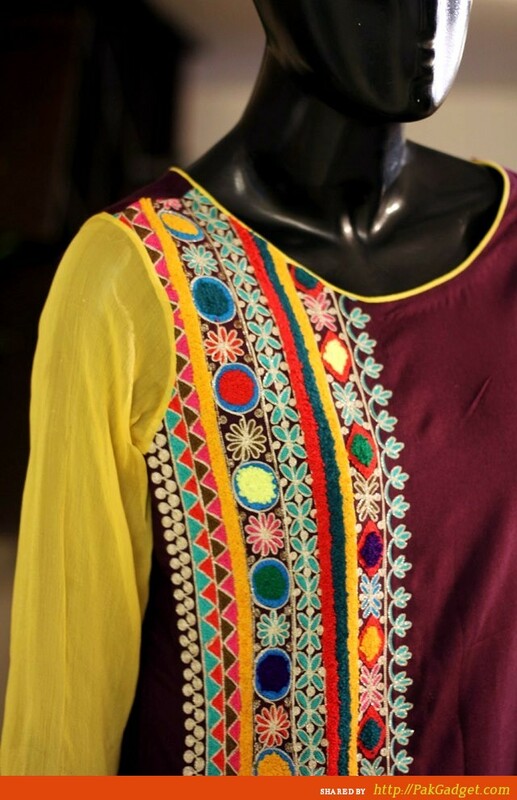 Sindhi embroidery dresses are very famous because of its difficult hand made work. 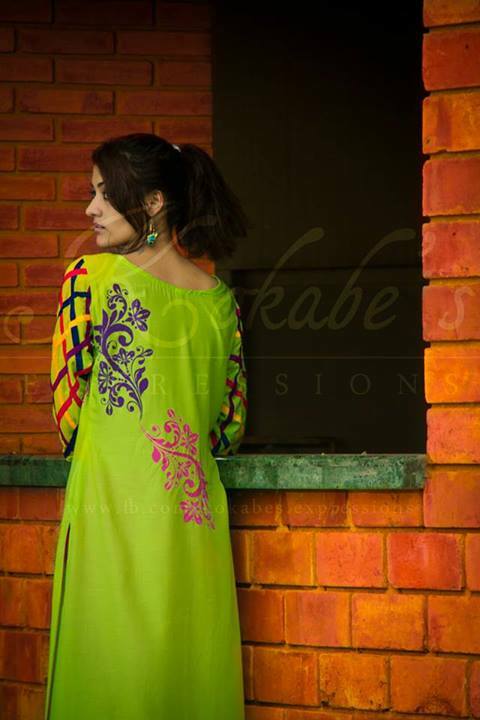 On different events, girls prefer to wear highly embroidered heavy dresses. 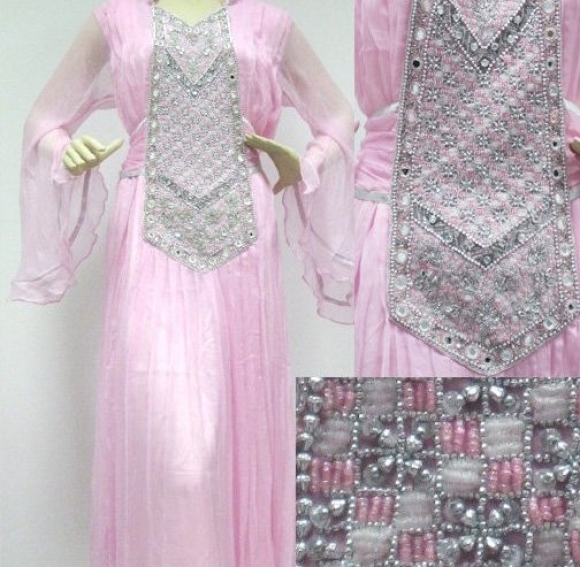 And in casual daily life, girls want to wear light Embroidery dresses as it is easy to carry light weight dresses. Every province has its specialty in dresses, Sindh province is famous for tradition julaba cholo with addition of modern sathan. 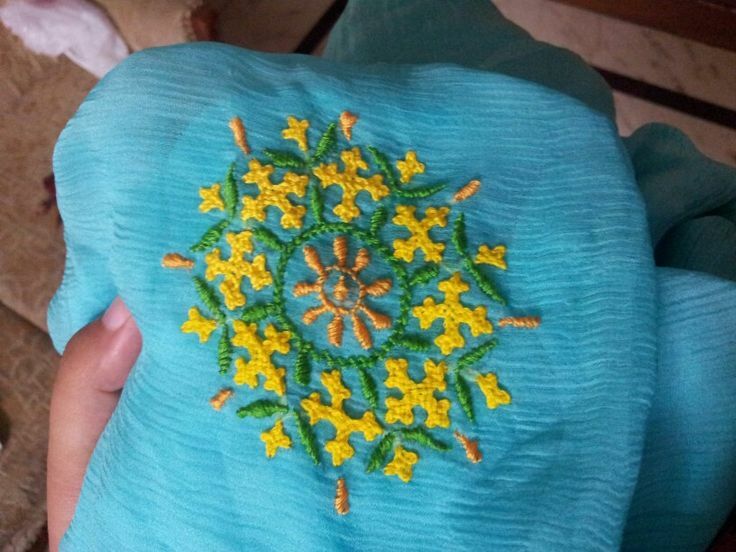 On special occasions, girls wear traditional dresses like embroidered jholi with lehngas. 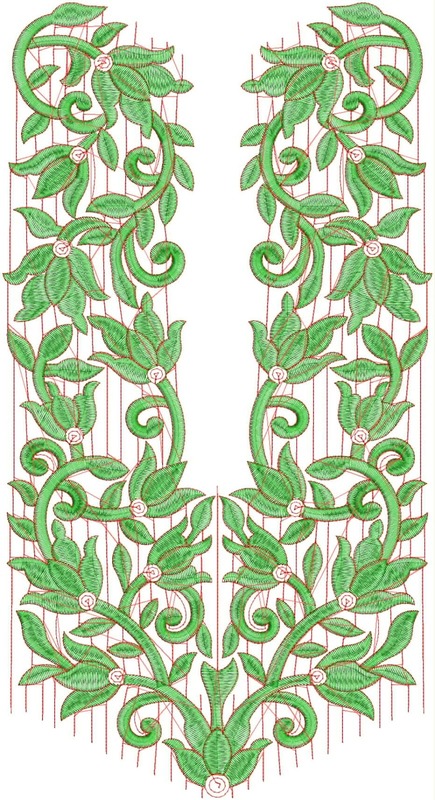 This design has got lots of popularity in all provinces of Pakistan. Lace short shirt looks very traditional and stylish with palazzo. Thread style is also famous and most wanted by lots of girls. 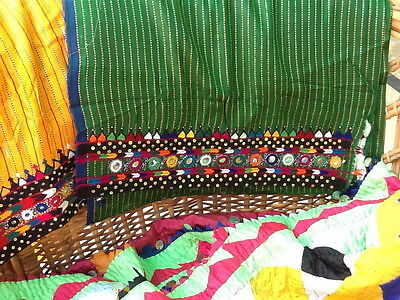 Ajjark is also very famous sindhi design. 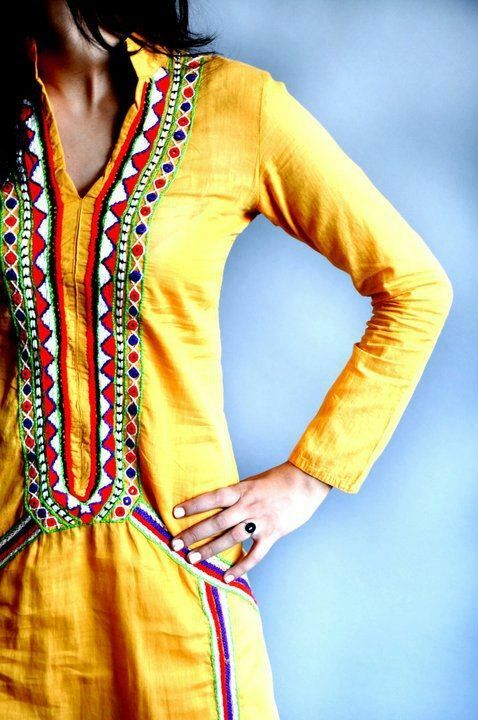 Ajjarak kurta style is getting very famous and trendy now a days. 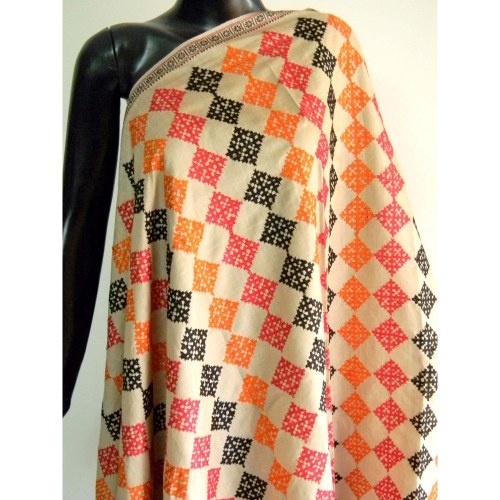 Rangoli also has different stylish color combinations with specific or random pattern. 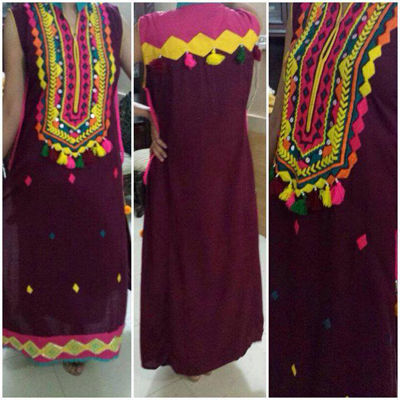 Latest sindhi Embroidery dresses collection is also available in markets now a days. 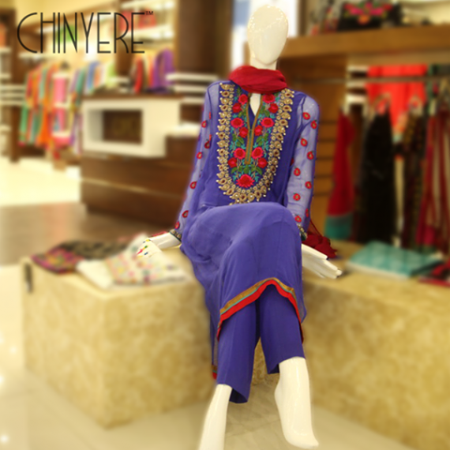 Latest dresses and embroidered kurtas are available. These dresses are decorated with laces and also hand made work. 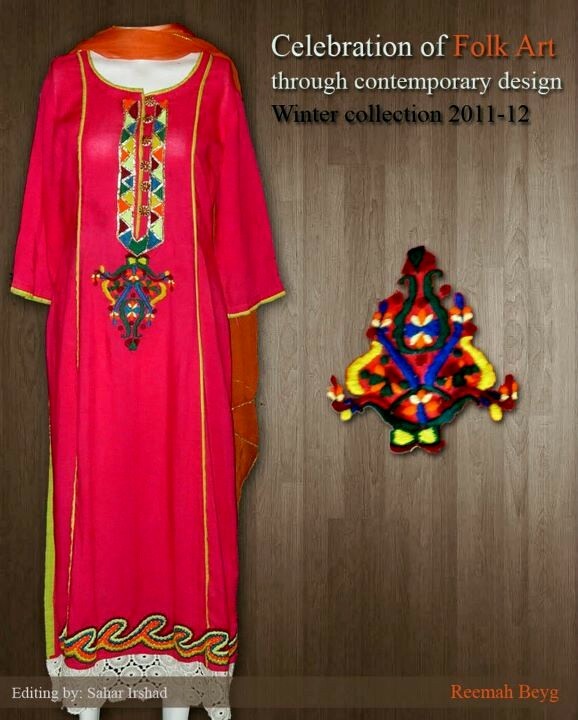 Also special Embroidery dresses collection is launched in winters. All these handmade dresses gave very unique and elegant look.Needle work is also famous among girls. 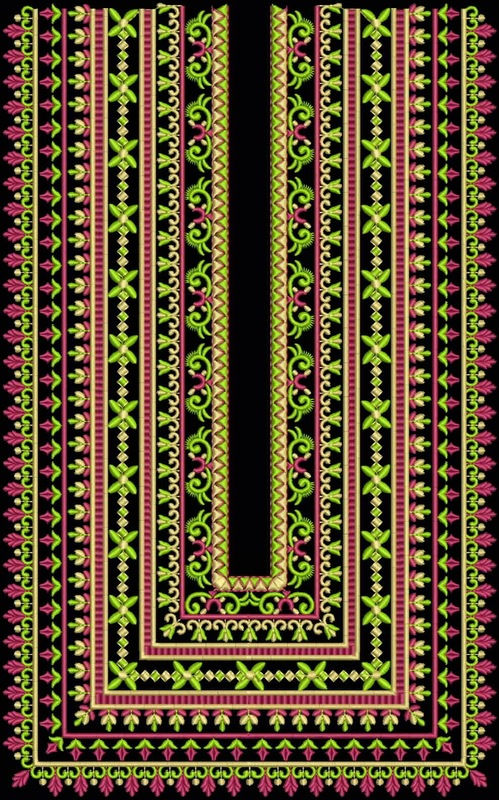 We have selected several elegant sindhi work images for you to get ideas. On traditional events, these dresses look different and beautiful. You can select any dress according to your requirements as casual wear, party wear and many other variety of dresses are available. These Embroidery dresses are available for every age group young. 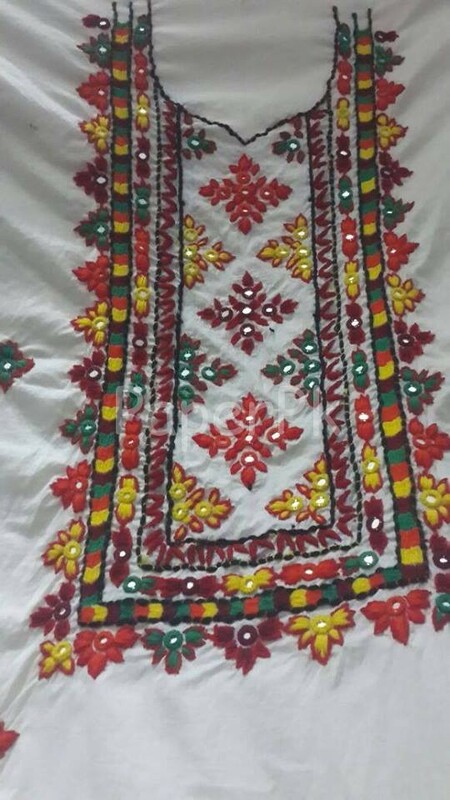 Because of very popular design and embroidery, Sindhi handmade embroidery work is famous in not only Sindh but in all other provinces of Pakistan. It is also very well recognized in India in the form Kathiawar and Kutch. 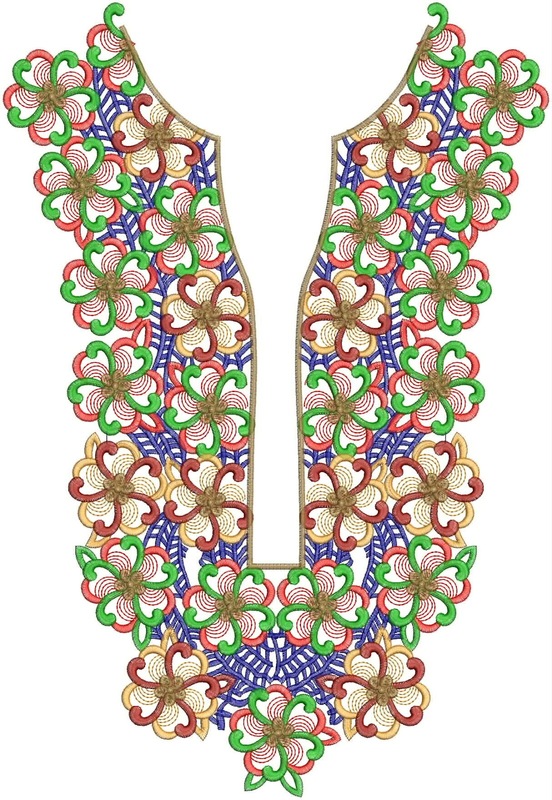 Sindhi Embroidery is also famous as The Interlacing Embroidery. 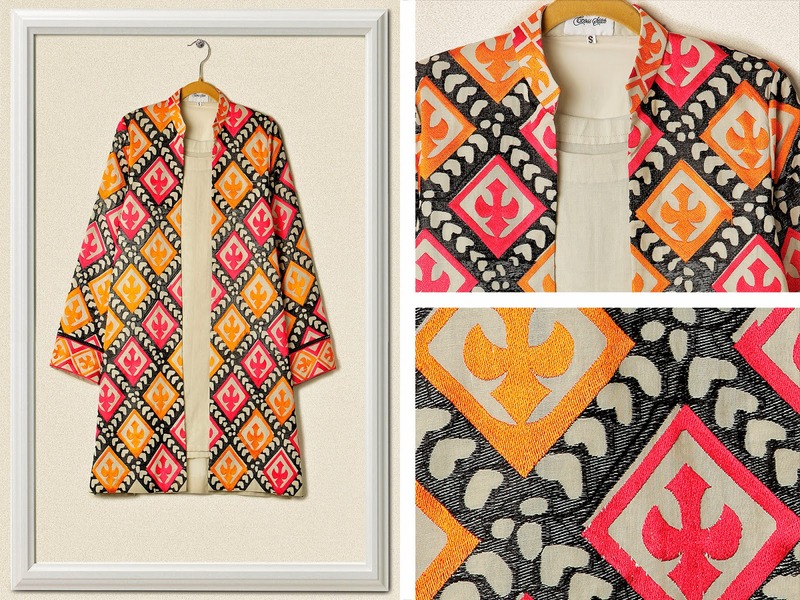 Sindhi embroidery styles are very classic. Most widely used designs is chevrons and check to make it more traditional. I wanna buy some of these, can you help ?